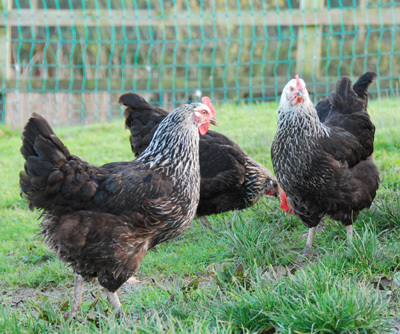 The characteristics of the silver Sussex chicken is alert, docile breed that is very comfortable in adapting to their surroundings very quickly for both free range or confined areas. They are good foragers and are at ease with human presence. They lay on average about 240 to 260 eggs a year, large eggs that are cream to light brown in colour.